Solvency is the most important aspect for Phenomena Corporation. It will increase its solvency and cash flow positive status in each quarter. 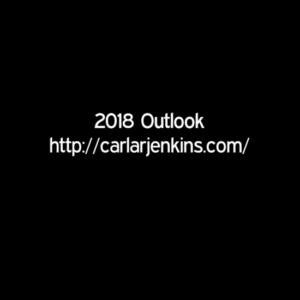 This is ambitious but I do think that with my doing more guest posts and accepting guest posts that www.carlarjenkins.com will receive double the traffic. The combination of guest blogging, increased social media following and content creation will get the site under 1 million Alexa. Phenomena has already landed its first paid client. We will keep working with brands and businesses in business, branding, social media and project management fields. Phenomena is uniquely positioned in the business and project management space with Pinterest, LinkedIn and Twitter to land a gig there. We are niche in these three social media and particularly Pinterest where there aren’t a lot of dominant players. Phenomena is building upon Carla R Jenkins’ Expand Your Personal Brand. There will be a new book coming out in 2018. Once again, brands have been actively reaching out to the CEO since 2017. This year, we will leverage our relationships into a book deal. Planning, writing and executing goals is the key to success! Wishing you an outstanding 2018!! !